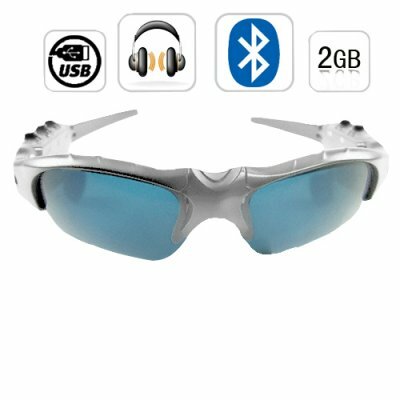 Successfully Added Bluetooth MP3 Player Sunglasses -Silver -2GB Flash Memory to your Shopping Cart. Bluetooth MP3 Player Sunglasses -Silver -2GB Flash Memory. Gadget sunglasses / shades with an 2GB MP3 Player and wireless Bluetooth headset built-in.